We’re a nation of individuals who have way too much credit card debt and far too little retirement savings. 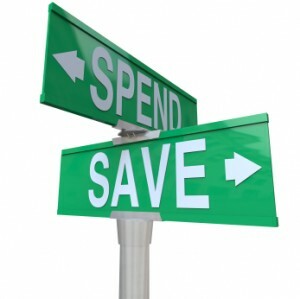 We start the spending habit extremely early in life, and catch the saving bug much too late. Our confidence in our abilities to live on our meager nest eggs is far too high, and our emergency reserves way too low. That we routinely fall victim to all these demonic personal finance dichotomies is borne out in study after study. We know we are this way. What we don’t know is why. Why is it that a huge percentage of us aren’t good money managers? Is it that schools didn’t teach us money management skills, even though they’re more likely to be needed than many other skills we were taught? Very likely. Is it that our parents weren’t knowledgeable about money, and as a result didn’t hand down any money managing skills, as they did baking or fishing? Despite earlier generations’ ability to save in ways later groups never mastered, that’s probably part of the answer. Or is it that in our consumerist society, it doesn’t matter what personal finance experts tell us to do, because we’re going to continue to respond to the siren song of the marketing machine, letting our personal finance ships veer ever closer to the hazardous shoals labeled “senseless spending.” That could be part of it as well. Ultimately, though, our inability to get out of debt and accumulate money isn’t tied to holes in our pockets, but holes in our sense of psychological wholeness. Psychological issues underpin most well-known financial pitfalls, from the tendency to view money only in the short-term to the belief we are entitled to homes, cars and trips we can’t afford. In other words, the reason you’re in arrears is likely between your ears. Put another way, it might be your grey matter that keeps you short of greenbacks. Who among us hasn’t met folks whose all-too-evident self-esteem deficits drive them to shop incessantly? Who hasn’t met the much-too-driven, Type-A plus personality who has to be the first to have every new grown-up toy that’s unveiled, no matter the state of his or her bank accounts? Finally, there appears to be dawning acknowledgement that we’ll ever get our finances straight until we get our heads on straight. Rick Kahler, head of Kahler Financial Group, is among the pioneers doing something about it. His Rapid City, S.D. firm is among the limited number nationally that teams with counselors and coaches to help clients comprehend how their psychological relationships with money, which he calls “the elephant in the room, ” impact their financial behaviors, often in insidiously negative ways. Kahler has written four books on the financial therapy topic, launched a trailblazing clinical study, and created an online workshop on financial therapy. KFG clients team learn the deep-seated emotional issues that keep many of them trudging along the same treadmill throughout their lives, making the same errors over and over. Kahler usually meets with each new client in the presence of a therapist. He recommends those who can’t seem to get beyond a destructive relationship with money, often rooted in childhood, submit to psychological coaching. According to Kahler, there are numerous destructive mistakes that undermine folks’ personal finance decisions. One is the inability to spend available money for critical health care, needed shelter, or clothing. A second is giving cash away to ease anxiety, rather than solving one’s own money issues. A third is providing children with financial details, such as those governing a divorce settlement, that should be reserved for adult ears. Then there’s failure to grasp that accepting some risk on a long-term basis can improve your financial well-being. Further down the list are feeling entitled to first-class seats, big homes and other trappings of the high-end lifestyle, without owning the money to pay for them, and hiding shopping trips from spouses or loved ones due to a sense of shame. And one of the worst is sacrificing the living of life and enjoyment of relationships in the quest to claim an ever-grander stash of cash. On his company’s website, Kahler notes that about four out of every five financial decisions are formed in the emotional part of our brains. “Instead of using our logical portion of our brain to make money decisions, we use the logical portion of our brain to justify the emotional decisions, ” the site notes. If there are people on your holiday gift list this year who seem to have an unhealthy relationship with money, one of Rick Kahler’s books, such as Wired for Wealth: Change the Money Mindsets that Keep You Trapped and Unleash Your Wealth Potential, could be the gift that keeps on giving. That would be better than telling them the reason they’re hard up is their hang-ups. Great article. 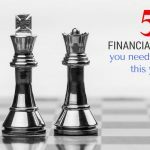 As a consumer lawyer who has done a good number of bankruptcy cases, one of the biggest financial issues I see people struggling with is the connection between money and status. Call it a sense of entitlement, call it keeping up with the Jones’, but I think it is ultimately better described as the quest for love and acceptance. As children, we’re given unconditional love just for existing, however, as we get older things change. We’re suddenly part of a culture that awards attention, respect and standing based on job, wealth, possessions. Many families have spent themselves into bankruptcy, not because they enjoy the possessions they acquire, but because they crave acceptance/attention/approval from their peers. Would you say it is always due to our psychological state, because I would have to disagree. Sometimes we are just in a bind with our money for reason such a medical issue or other reasons. This is a good one. Emotions run our lives and make most of our decisions for us. Along with that, we still have issues with wanting to keep up with the joneses and we try to have a lavish lifestyle that we cannot afford. Some think that if they show a lavish lifestyle on the outside, then they will be liked by others. It all goes back to emotions. Kahler’s ideas sound worthwhile. I do think early education on the topic of personal finance and, as you put it, the siren song of the marketing machine, are crucial and sorely lacking today. Most people have no concept of the weapons being used today to induce them to spend. The more you know about marketing theory and practice, the less likely you are to be seduced, I think.